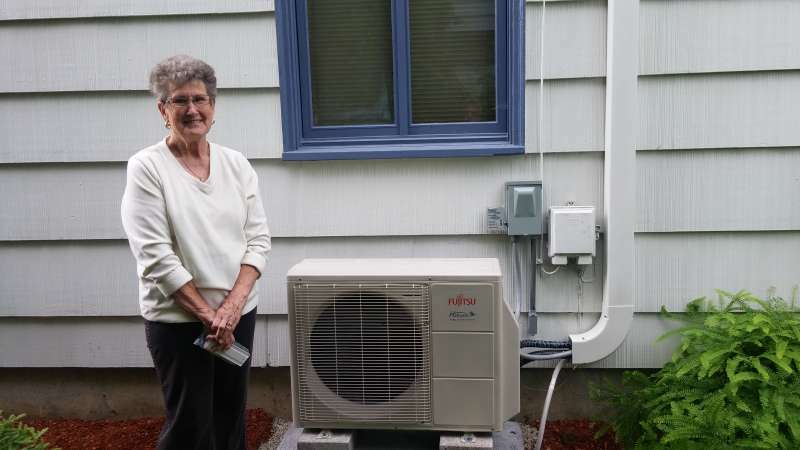 Alpine Ductless, a specialty HVAC contracting business with its headquarters in Olympia WA, achieved a significant milestone recently, with the installation of its 1,000th ductless heat pump. Alpine is unique in that they focus exclusively on Ductless Heat Pumps (DHPs). The company was founded by Cory Eckert and Mike Meisenheimer in March, 2012. Recognizing the significant benefits for homeowners here in the Pacific Northwest and believing the market was set to take off, Cory and Mike decided that Alpine Ductless would approach the market differently than most HVAC businesses that were offering DHPs as just another product. And that foresight is paying off. The market for Ductless Heat Pumps is far outpacing the growth of the HVAC market as a whole. Ductless heat pumps are one the most efficient and effective ways to heat and cool and they have been used throughout Asia, Europe and across the globe for more than 30 years. The seed for Alpine Ductless was planted when Cory installed a system in his own house wondering if ductless heat pumps were a potential business in their own right. Cory had heard about ductless systems in his custom home building business. He knew they were incredibly comfortable, quiet and efficient, but he had yet to experience the benefits of having one in his own home. Once it was installed, Cory approached Mike about partnering in the business and Alpine was born. From its initial focus of Thurston County, Alpine is finding success throughout Thurston, Mason, Pierce and Kitsap counties. Just recently Cory and Mike expanded their service area to include South King County and Seattle. In 2014 Alpine installed almost 500 DHPs and 2015 is looking even brighter. Focusing on the proven technology of Ductless Heat Pumps, Alpine Ductless, LLC is a specialty heating and cooling contractor helping homes and businesses in the Pacific Northwest improve their comfort and save money. Alpine offers a range of leading DHP manufacturers including Mitsubishi, Fujitsu and Daikin. The company serves residential and commercial customers in Olympia, Tacoma, Gig Harbor, Shelton, Bremerton, Federal Way, Seattle and the surrounding areas.